Death row shrimp. - A Life From Scratch. I have a weird question for you. And by weird I mean… morbid. If you were on death row, what would be your last meal request? Seriously, have you ever given this any thought? Because I have friends who have. Normal, nice, functioning members of society – like adopt all the babies friends. I’m pretty sure a nun would be more likely to end up on death row than them, yet this is a normal topic of conversation they have. And these shrimp? Top of their list. Please meet death row shrimp. The idea originated from Heinens. They offer this shrimp that… hmmm, how should I phrase this. Let’s just say I’ve bought them for friends and took shrimp out of the container for myself before giving it to them. I have no shame. They are that good. So I thought “Huh, why aren’t I making these?” I’ll be the first to admit they don’t come cheap, although they are so good I’d shell out more than an entire grocery budget for the month for these puppies. Yet, I can cook. Let’s figure this one out. I did some research, i.e. stalked the poor lady behind the counter of Heinens, picking her brain. I read their label. I stared at them. Although that is no different than normal. The end result? I have what I feel has potential to be the exact recipe. The only thing lacking was the hint of a grilled flavor, yet let’s be honest, it’s cold out. I’m not lighting that thing up. 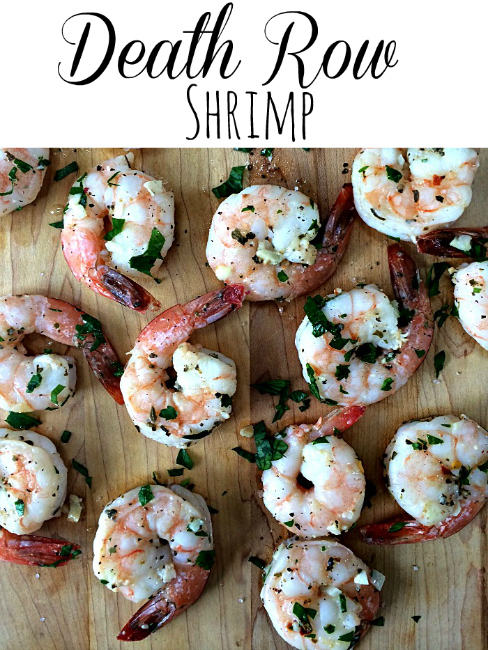 So into the oven these bursting with flavor shrimp went and out they came a 9 out of 10. Hey, good enough for death row. No doubt. If it's the winter, preheat oven to 400 degrees F. Cover a baking sheet with foil. Place shrimp in a single layer onto the prepared baking sheet. Add olive oil, garlic, oregano, basil, crushed red pepper and Parmesan; season with salt and pepper, to taste. Squeeze lemon over everything. Gently toss to combine. Place into oven and roast just until pink, firm and cooked through, about 6-8 minutes. Summer? Get them on the grill for a few minutes a side! Serve immediately (or later!) garnished with parsley. To be honest, my favorite way is straight from the fridge cold. You can also toss with fresh pasta or saute with veggies and serve over rice etc. We make these exact shrimp probably once a week. Shrimp are a staple in a Cajun household! They are so damn good! Amazing – how do you serve them? Just plain? oh Wow Biz – that sounds delicious!! Thanks for sharing at Sunday Features! I saw your blog for the first time today, and I’m smitten. Love your writing and photography! YUM! 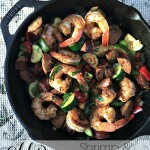 I love shrimps and your dressing looks amazing. Stopping by from Busy Monday linky. Would love for you to stop by my baking blog to say hello! Your morbid humor would fit in perfectly in my family. Your shrimp look super yummy. Morbid humor – HA. I love it! Thanks for visiting, Heather! The look so yummy and I absolutely love the title. 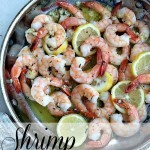 Shrimp are so delicious roasted and I look forward to trying this soon! 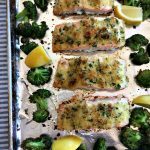 Hi Courtney – I LOVE this recipe, the post and the title. I am laughing so hard I literally have tears, so I guess that says something about my warped sense of humor! 🙂 Thank you so much for sharing this at Best of the Weekend – totally pinning and sharing! Have an fabulous weekend! This shrimp looks fantastic! I love the seasonings used in this recipe. 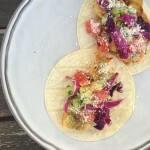 You are being featured at Simple Supper Tuesday this week. We hope you can join us again, starting at 8pm EST, on Monday night. Courtney, your death row shrimp look so delicious! Thanks for linking up at Fluster’s Creative Muster Party and hope you have a sweet day. Thank you so much for visiting Heather! You “had” me at the name – who can resist “Death Row Shrimp”? Looks so delicious – I’m lighting up the grill today! (not cold in SoCal). Stopping by from Skip the Housework linky party and pinning to Pinterest! Ah, thanks Carole! For stopping by and for giving the recipe at try – i so hope you enjoy! I have to admit, the name made me giggle. But don’t you love it when you find something so delicious and then you figure out how to make it! I do the same thing at the Farmer’s Market in the summer with the one stand that sells pre-made stuff. I don’t pick their brains though. I just buy it and if I like it, I try to figure out something similar. Thanks for sharing this with us at #FoodieFriDIY…I can’t wait to try it! Sending some foodie love your way!